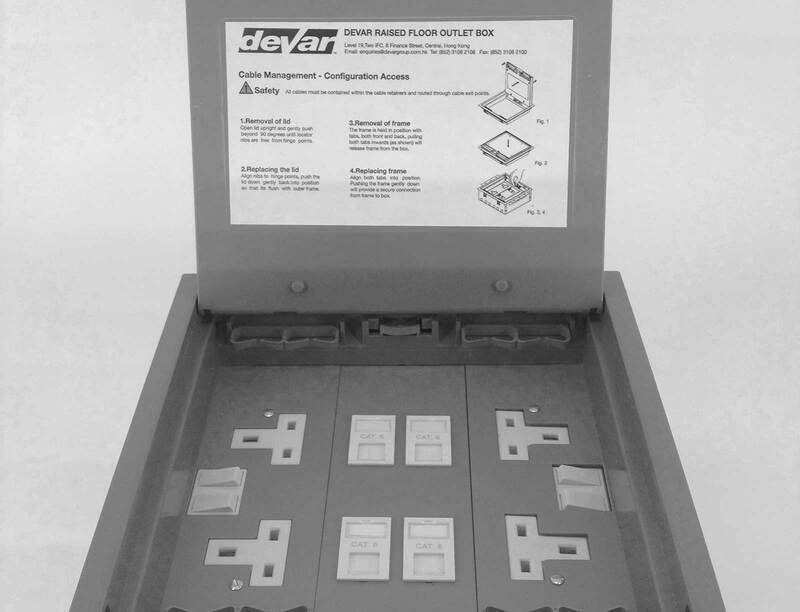 Devar Group is manufacturing and supplying Floor Outlet Boxes of various configurations. Side blanks can be adapted to take metal ducts, UPVC duct or conduits and are manufactured from Pre-Galvanised sheet steel. The frame, trap and ratchet are manufactured from UL94V-O flame retardant ABS material which provides the box with strength and durability. The trap frame is secured to the basic box using a ratchet arrangement, hence making installation and removal easier. Sze: 270 x 270 mm. 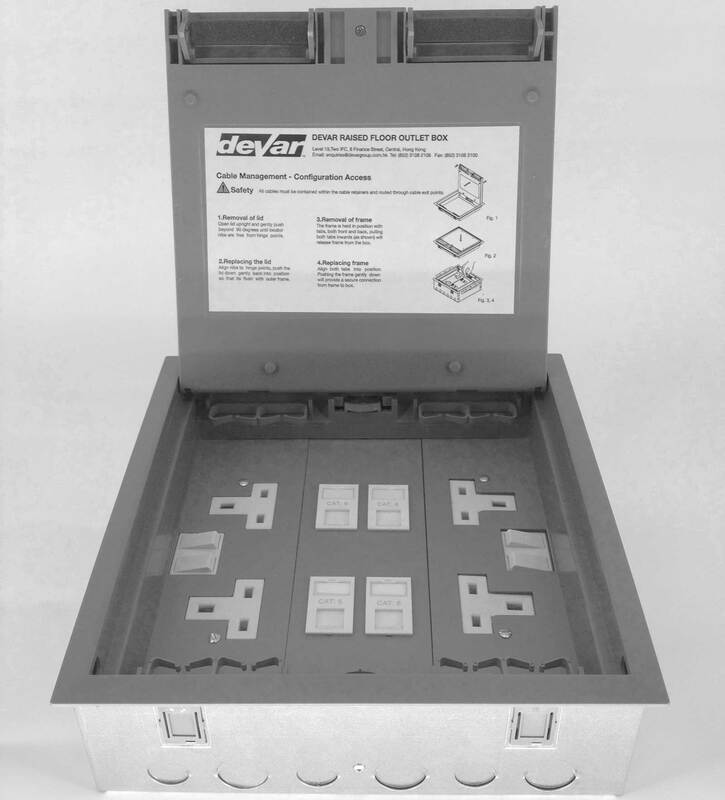 Available in 2, 3, 4 compartment versions. Can be adapted to take ducts from 25 to 38 mm. Can be manufactured to accommodate a void of 50 mm height. 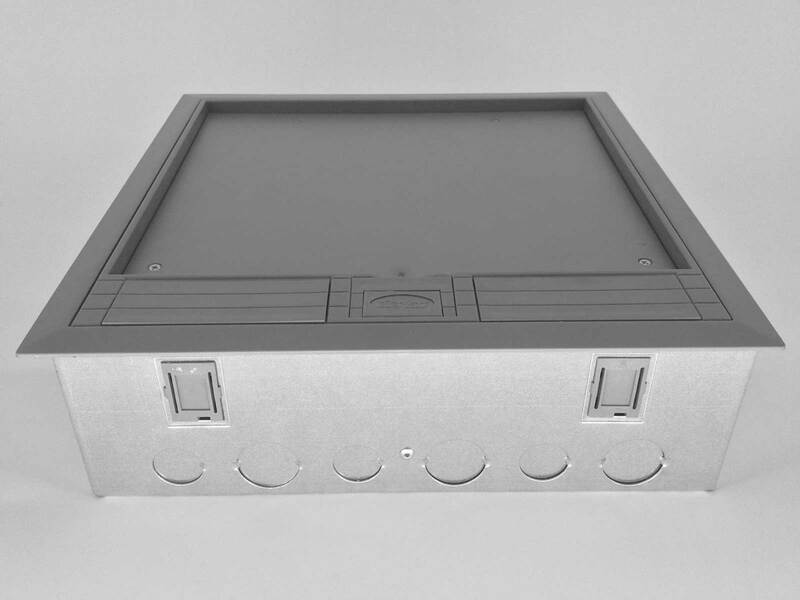 A wide range of inter-changeable accessory plates that can accommodate power, data and telephone outlets are available. 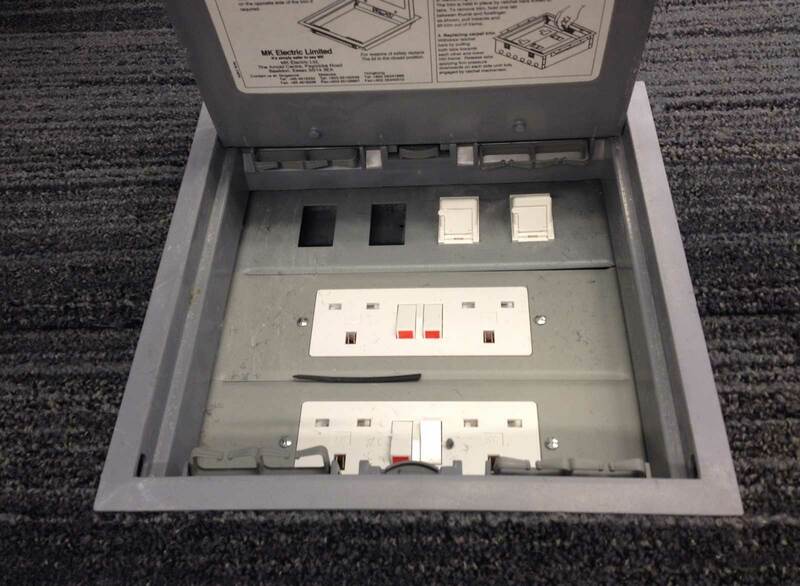 Floor Outlet Boxes are an indivisible part of almost any Raised Access Floor System, as they allow connection of the underfloor cabling with the office equipment at specified locations. 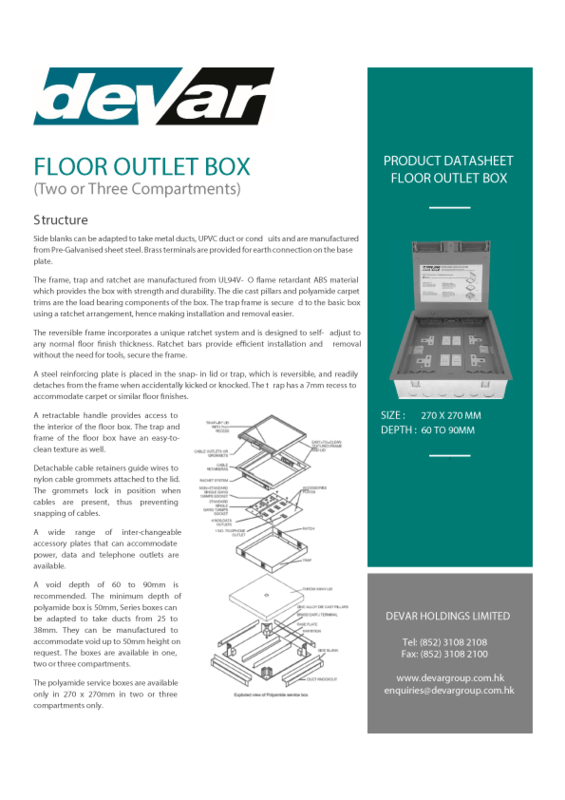 FlOOR OUTLET BOXES Devar Group is manufacturing and supplying Floor Outlet Boxes of various configurations. Side blanks can be adapted to take metal ducts, UPVC duct or conduits and are manufactured from Pre-Galvanised sheet steel. The frame, trap and ratchet are manufactured from UL94V-O flame retardant ABS material which provides the box with strength and durability. The trap frame is secured to the basic box using a ratchet arrangement, hence making installation and removal easier. Sze: 270 x 270 mm.